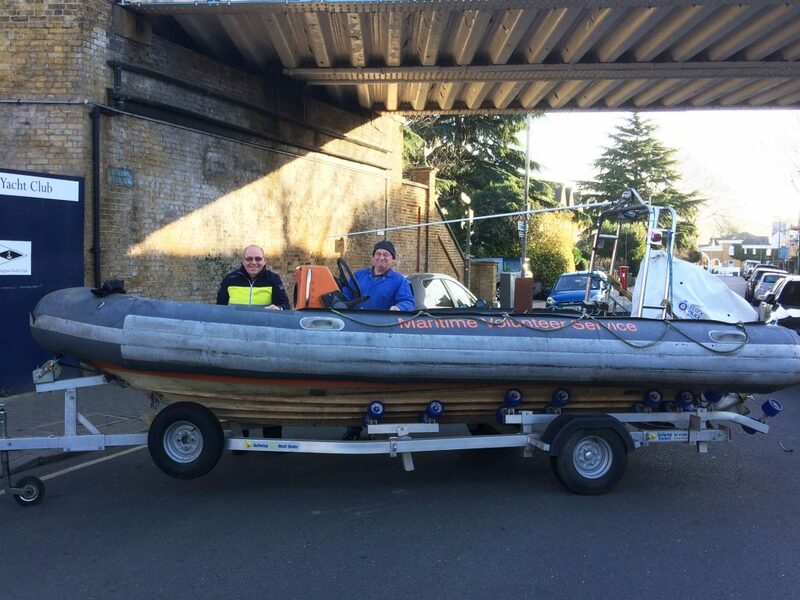 MVS Putney has taken ownership of a boat following the recent closure of the City of London unit. Seax is an Avon Searider RIB which was built to navy specification. Deputy Head of Unit at MVS Putney, Duncan Thomsen says, “Seax will need engine work and rewiring as it’s been on the trailer and unused for some time but we will begin getting her running this weekend”. Seax is the first boat the Putney unit has had to get on the water and call their own. It means the unit can begin water based practical training and instruction for the RYA external certification of Helmsman, Powerboat 1 & Powerboat 2 for all the members. Duncan says, “we have concentrated on lectures and training on theory but we believe that the boat will help with fund raising activities that will result in Seax remaining on the water. We are also looking to introduce other vessels and increasing our membership”.